St. Louis Park school district teachers playing a full game of basketball April 11. 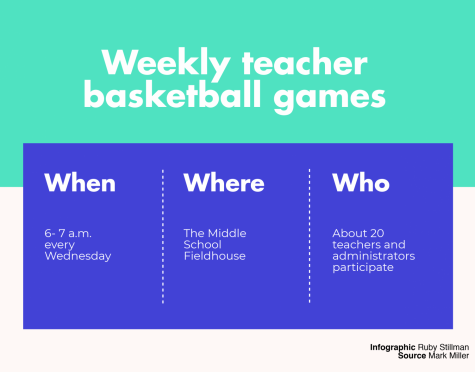 The teachers get together every week at 6 a.m. on Wednesdays to play at the middle school. 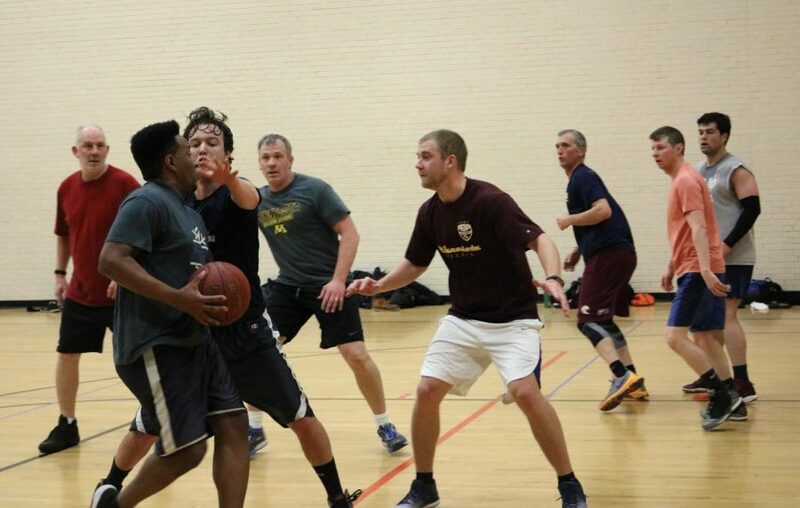 According to engineering and science teacher Mark Miller, a group of teachers and administrators from around the district get together every week to play basketball. “We play basketball starting at 6 o’clock at the middle school every Wednesday, and we get a group together and we play four on four, five on five, whatever we’ve got to play,” Miller said. Miller said teachers were motivated to stay in shape and continue spending time doing things they enjoyed. Science teacher Alex Polk, who also participates in the games, said he enjoys interacting with coworkers outside of the regular work environment. “I get to see different people in different settings than usual. 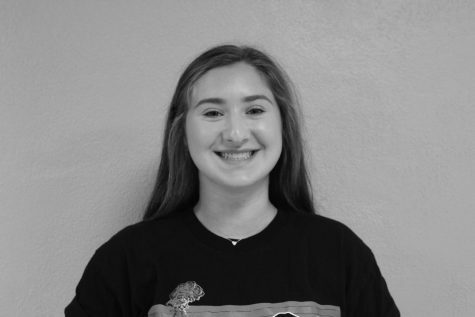 I get to see Mr. Miller and Mr. Wachutka in a setting that is not just the science office,” Polk said. Polk said he enjoys playing because the physical activity helps motivate him for the week. “We get to get a little bit of exercise, get a nice little start to the Wednesday, cause Wednesdays are sometimes a little bit of a drag, so it’s a bit of a wake up right away at 6 a.m.,” said Polk. Miller said he enjoys how the games help him connect with people he would not otherwise be able to, as well as the relaxed atmosphere. Miller said he hopes that the basketball games help students realize they have more in common with teachers than they think. “Even though we are teachers, we are humans, and we enjoy a lot of the same things as students do,” said Miller.